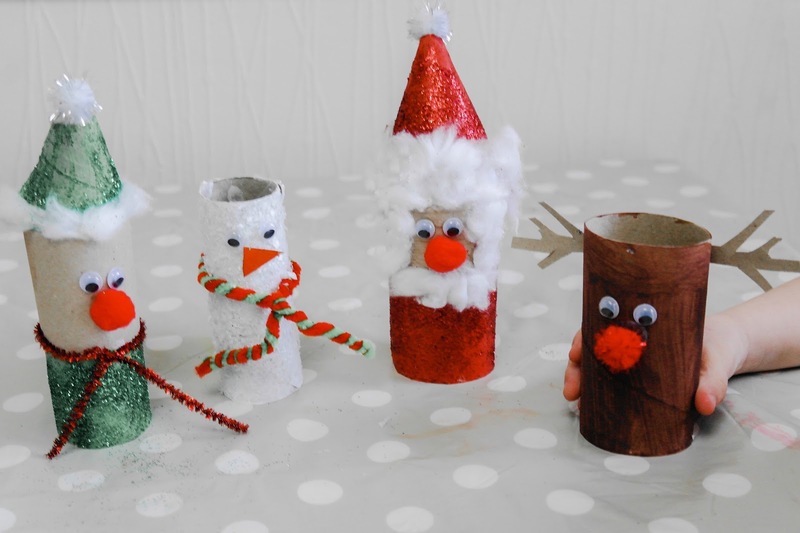 If you’re looking for some Christmas crafts for children then you’ll love these Christmas toilet paper roll crafts. Ever since my daughter started school she has been obsessed with using our recycling items for crafts, especially with toilet paper rolls. You can really do so much with these, nothing seems to get me in the mood for Christmas than getting crafty with my daughter. 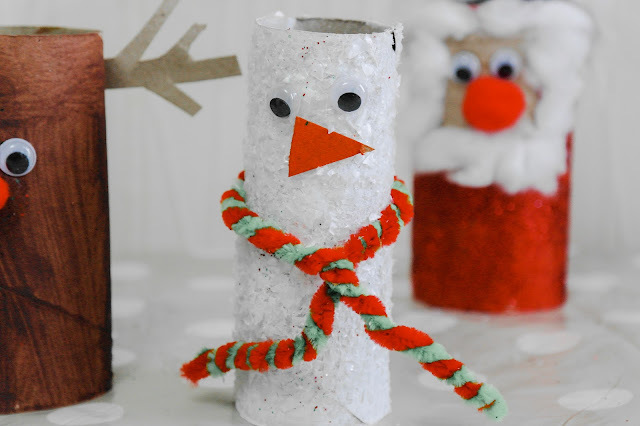 These Christmas toilet paper roll crafts are so simple and easy to make, you'll make them again and again. All you need is a little time, patience and glitter galore. From the big boss Santa, to an Elf creating these will be such a big hit with everyone, I really enjoyed making them with my daughter. So I want to show you how to turn your toilet paper rolls into 4 different Christmas characters and we know you will just love how they turn out! So please meet the big boss, also known as Santa, Rudolph, Elfy and Wally the friendly snowman! 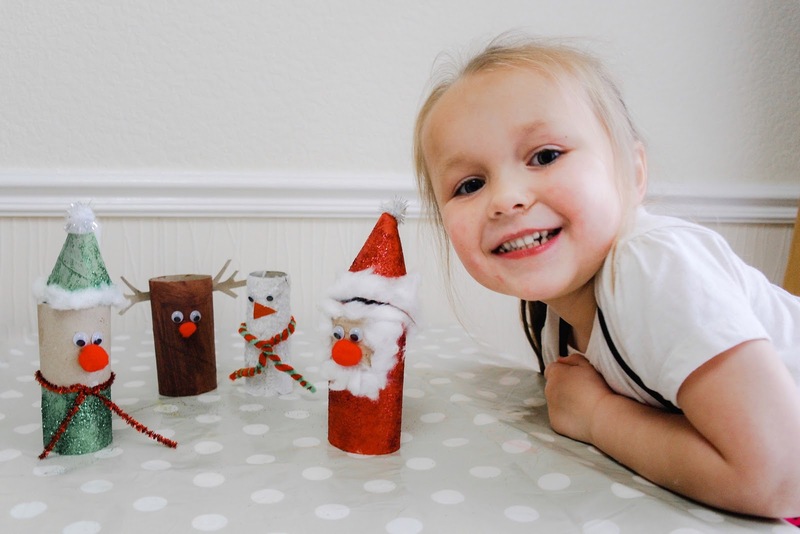 6 Paper Rolls ( 4 for Characters and 2 for extras: Santa's Face, Snowman Nose, Elf and Santa Hat, and Reindeer Antlers). Paint – Red, Blue, Yellow, Orange, White and Brown. 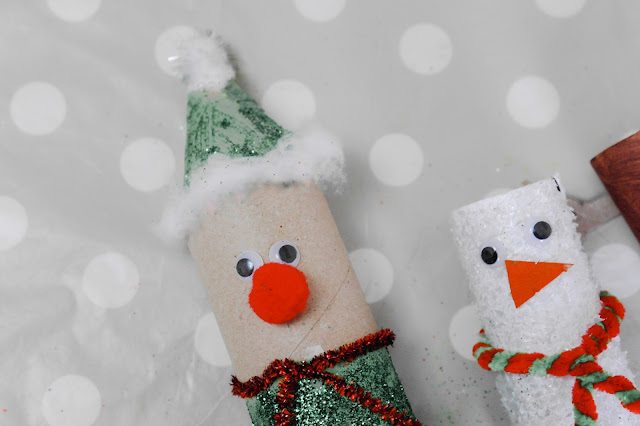 Now remember you'll have to be patient and have tonnes glitter when making these Christmas characters. I have created some step-by-step instructions on how to make these. We spend an afternoon making these characters and it did take a whole afternoon with waiting for the paint to dry, but they are so worth the wait. So here is a step-to-step guide for this cute little toilet paper roll characters. 1. Paint the paper with a lovely bright red and before the paint dries sprinkle on some red glitter all over the toilet paper roll. I found if you put your fingers inside the roll was the best way to paint the character and add the glitter. 2. Set aside to dry and take the extra toilet paper roll and try and make a hat. To make the hat start by cutting out a small circle. Cut one slit into the circle so that you can form the hat. Cut off any extra paper when you roll around to form the hat. Then glue or tape the hat to the top of the paper roll. 3. Stretch out some cotton balls, something that my daughter really enjoyed and then glue to the brim of the hat and the top of roll. Glue the white pom pom to the top. 4. 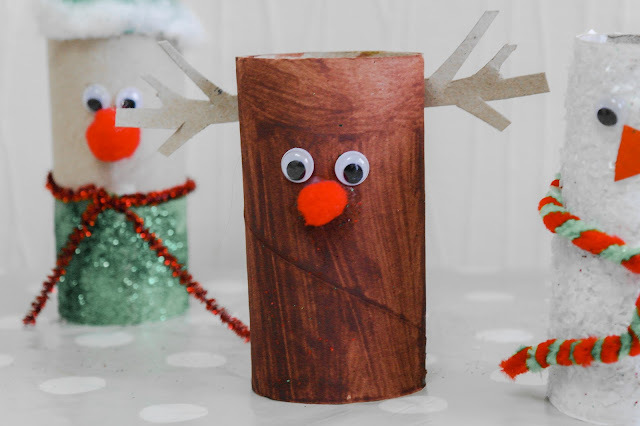 Set aside to dry and take the extra toilet paper roll for Snowman Nose, Elf and Santa Hat, and Reindeer Antlers. In this case we need to make a face for Santa. Simply cut out a small square and glue into place. The take more of the stretched out cotton and give him a beard. You can be as creative as you like, we preferred a short beard. 5. Glue on the googly eyes and pom pom nose. 1. Paint the toilet paper roll white. 2. Before the paint dries, roll the toilet paper roll in the artificial snow, it really does stand out. Set aside to dry. 3. While your snowman is drying, with the extra toilet paper roll cut out a triangle shape for his nose, and then paint orange. However, for ease simply use orange coloured paper or colour in the nose with an orange felt tip. Once dry glue to the snowman. 4. Glue on two googly eyes. 5. Using two different coloured tinsel pipe cleaners and twist to make a a scarf and then wrap around the paper roll and glue down if neccessary. 1. Paint the toilet paper roll brown, we gave our Rudolph a couple of coats. 2. For the antlers take your extra toilet paper roll again and fold in half cut a small rectangle. Keep the piece folded and cut your unique antlers, remembering not to cut the bottom. As the two antlers will be still attached to one another, simply use a little tape and glue into place on the back of the toilet paper roll. 3. Glue on two googly eyes and a red pom pom nose. 1. Paint the paper with a lovely bright green and before the paint dries sprinkle on some glitter all over the toilet paper roll. Similar to the Santa's hat. 2. Set aside to dry and take the extra toilet paper roll for the last time. Make the hat by cutting out a small circle. Cut one slit into the circle so that you can form the hat. Cut off any extra paper when you roll around to form the hat. Then glue or tape the hat to the top of the paper roll. 3. Stretch out some cotton balls, something that my daughter really enjoyed and then glue to the brim of the hat. Glue the white pom pom to the top. 6. Using two different coloured pipe cleaners and twist to make a a scarf and then wrap around the paper roll and glue down if neccessary. 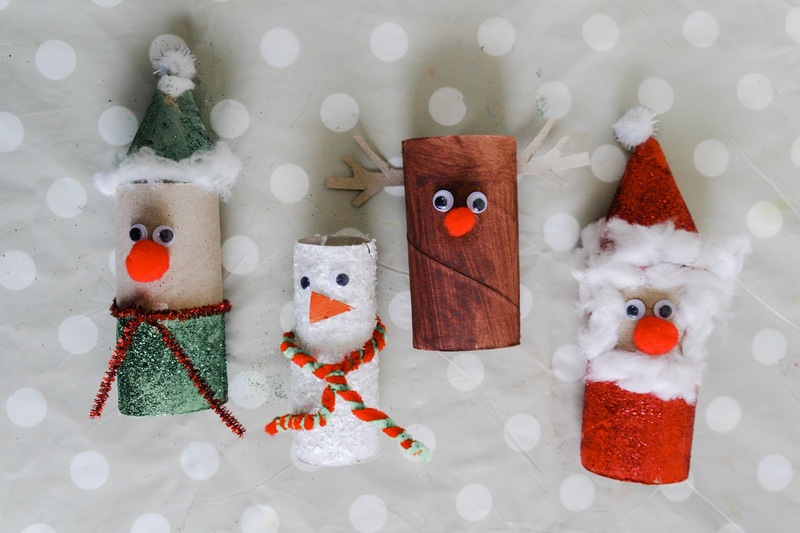 So there you have it, a cute little Christmas craft to do with your children to get them in the mood for Christmas. I loved doing these with my daughter. They were really simple and easy to do and make fantastic Christmas decorations. 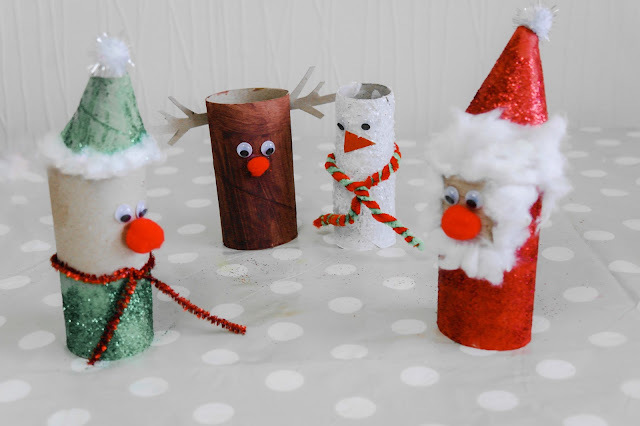 So if you have any toilet paper rolls spare, be creative and make some cute Christmas Characters. Calling all muggles! Calling all muggles! 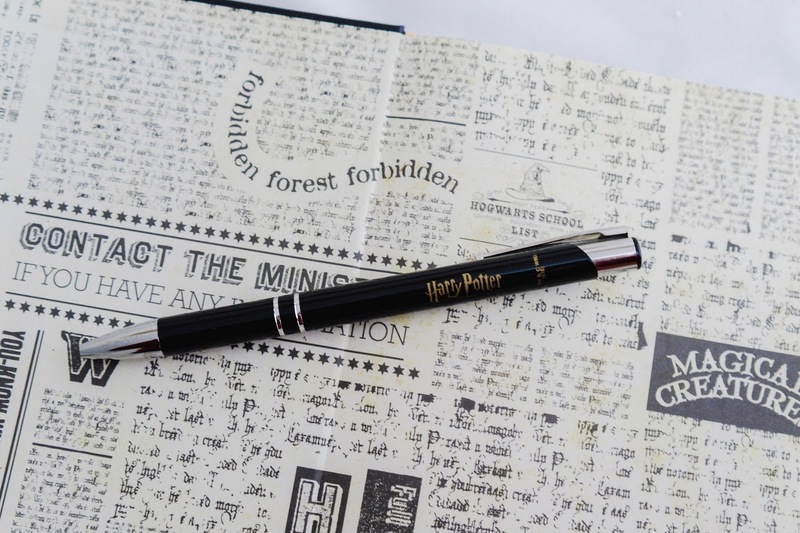 Yes, if you're not completely obsessed with Harry Potter then this post may not be for you. But for the rest of you muggles I have a little goody for you. For all muggles who love the Wizarding world of Harry Potter, this collector's box set is the perfect choice to say goodbye to 2018 and hello to 2019, in a harry potter-esque way. When it comes to stationary, it's kinda my thing. I'm what you call a stationary geek and I am a type of person who spends too much time down the stationary aisles looking at pretty notebooks and cute pens. So as you can imagine, stationary is always something that is on my Christmas list every year. Even if I don't need them, you never know when you'll need a notebook. That doesn't stop with notebooks. I am exactly the same with calendars and there is a certain style I prefer bbut as I sit here writing this post I do actually have quite a few around the house. We have a wall calendar in our porch that is full of dates, birthdays and appointments. I have the cutest little wall calendar from Etsy for my blogging room. As well as my A5 Webster Pages organisers, which I really couldn't adult without. So when a opportunity for something stationary related came my way, of course I indulged. But the fact that this is for a Harry Potter fan makes it all the more interesting. I remember coming across the first book and I sat there and was engrossed from the first chapter, it's just one of those books that you cannot put down. And pretty much every book since then have all been amazing. The film are so good too and I never tire of them. So I'm most definitely a big fan of the Harry Potter phenomenon. 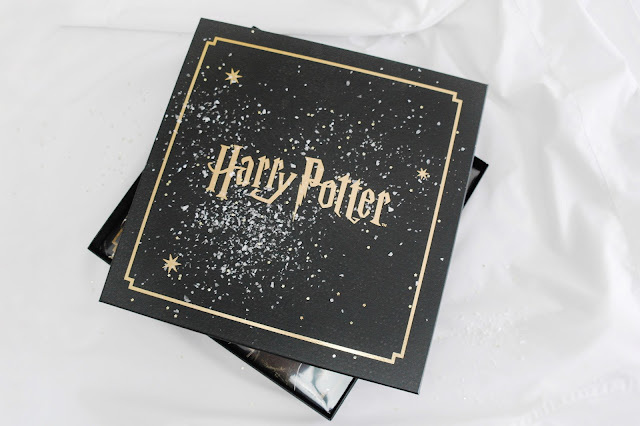 Actually everyone in my family is so this Harry Potter Collectors Gift Set would be the perfect gift for our Potter mad family. Every year must come to an end and a new one must begin. 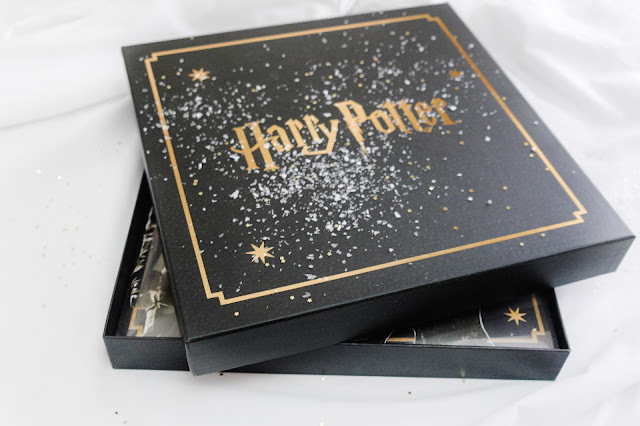 For muggles looking to keep organised for 2019 the Harry Potter Collectors box set is the way to do it. Keep record of all of your notes, dates and birthdays with the calendar, diary and pen included in this marvellous box set. 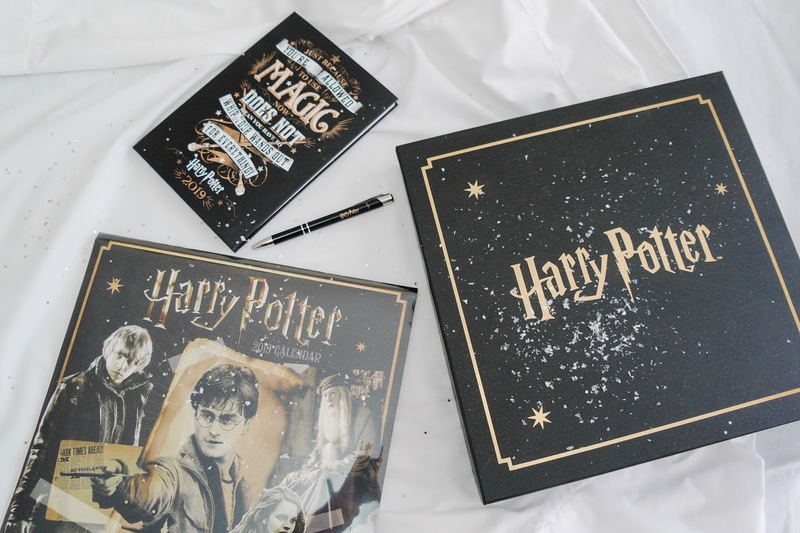 Included in this set is a Harry Potter pen, an A5 diary and a monthly wall calendar featuring images of your favourite characters for each month. A perfect gift for creating another memorable year! From the Philosopher’s Stone to the Deathly Hallows, Harry Potter and the wizarding world of Hogwarts have had readers and film fanatics in suspense for over a decade. This calendar is quite big so it would be ideal for a kitchen or dining room so everyone can keep an eye on their days and not forget those all important dates, birthdays or appointments. 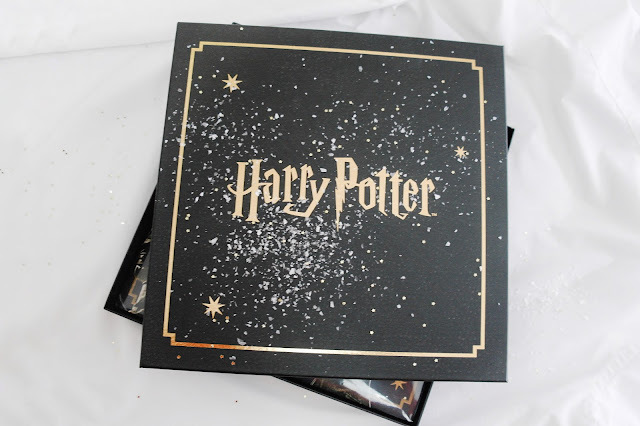 Each month has a different character so you will have a good mixture of the goodies and baddies including Harry, Hermione, Voldermort, Luna, Snape, Ron and many more. I really do like the style of the calendar and the fact there is a place for notes just add to the usefulness. I always have something to do. My little lady's school and social calendar is busier than both my husbands and mine put together. New year, new me perhaps? 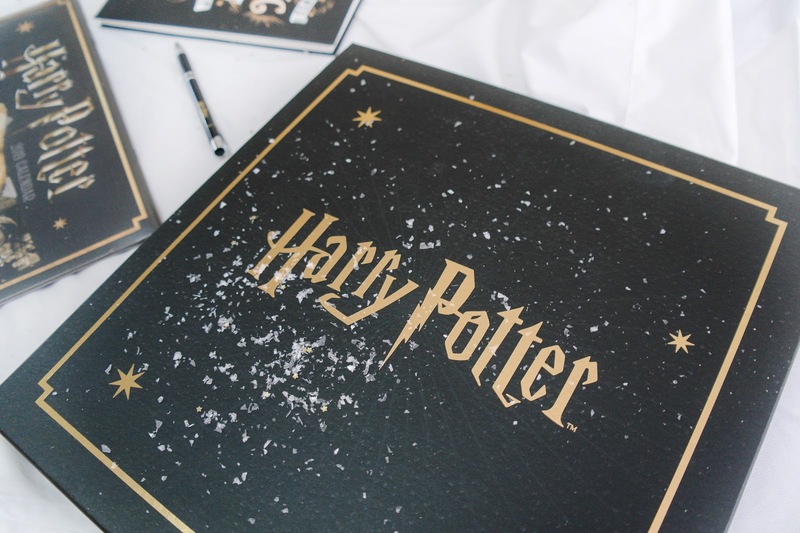 Harry Potter Official A5 Diary 2019. 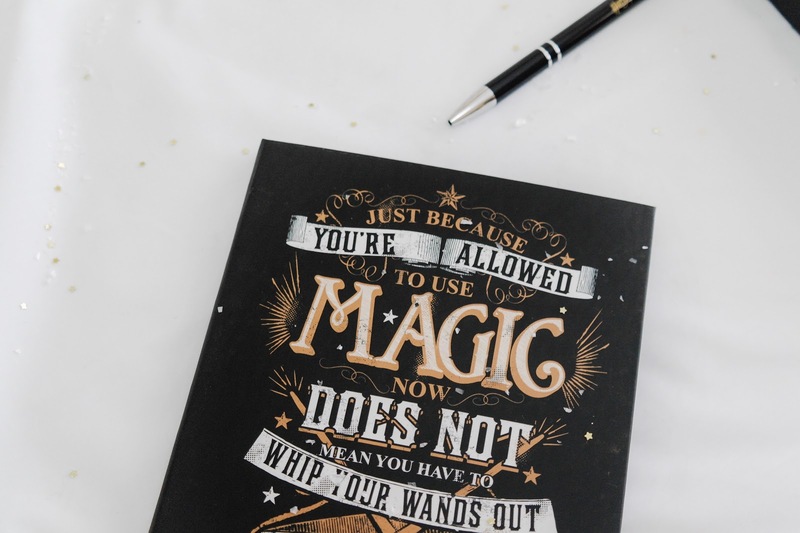 Just because you're allowed to do magic does not mean you can whip your wand out for everything - Molly Weasley. I do love that quote. As it's something that I know my own mother would say if we were a part of the wizarding world. This diary is handbag size with a beautiful gloss finish on the front cover. This official diary includes a week-to-view layout for all your daily notes/appointments as well as handy extras such as note pages, address pages, notable dates, and a year-to-view calendar. 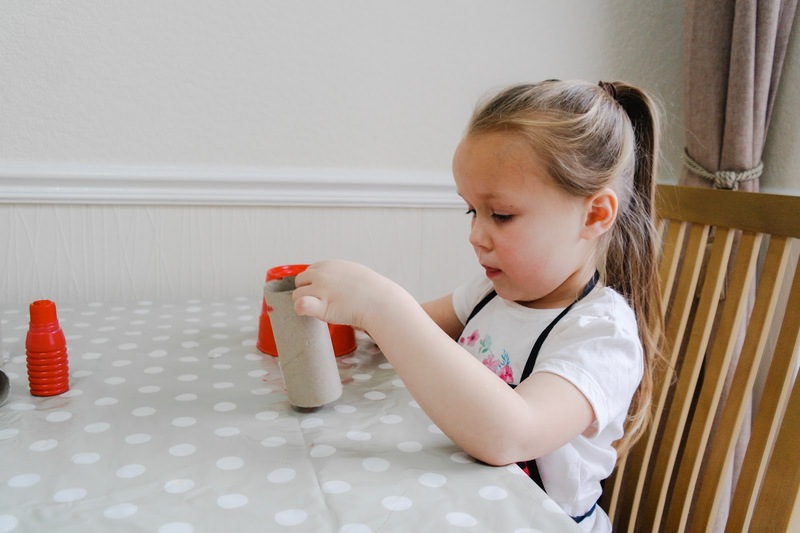 Something I always need being a blogger and mum to a little socialite. For me I really like the first couple of pages with lots of different quotes, names and place from the series. It really does make you feel as if you are a character from the books. 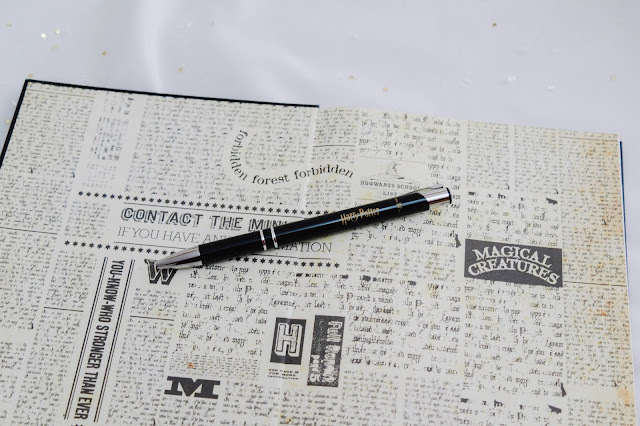 A branded pen is also included in this gift set. 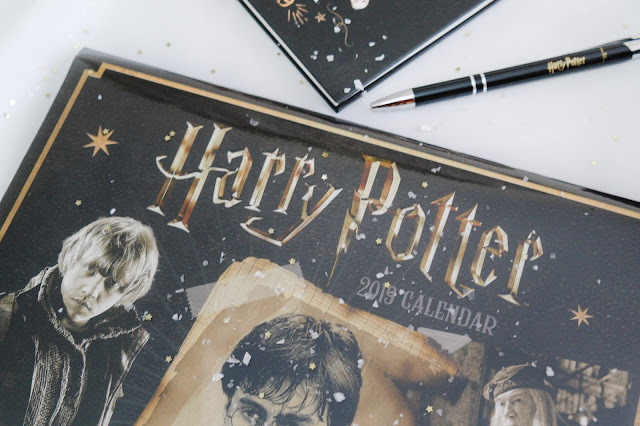 Do you have a potter mad fan in your family? You have to get this cute little collectors gift set. It's the perfect gift for your muggle? I was kindly gifted this set, but as always my words are my own. With just a week before Christmas, it's all systems go in our household. I have so much still to do, but in the midst of the madness I do have a certain little lady to entertain and what better way to so that than with a little Christmas baking. And it does not get any easier than this simple and easy candy cane bark. It's delicious and literally takes minutes to do. I know that it will become a go to treat for any last minute gifts, to simply say a thank you or something to make with little ones. 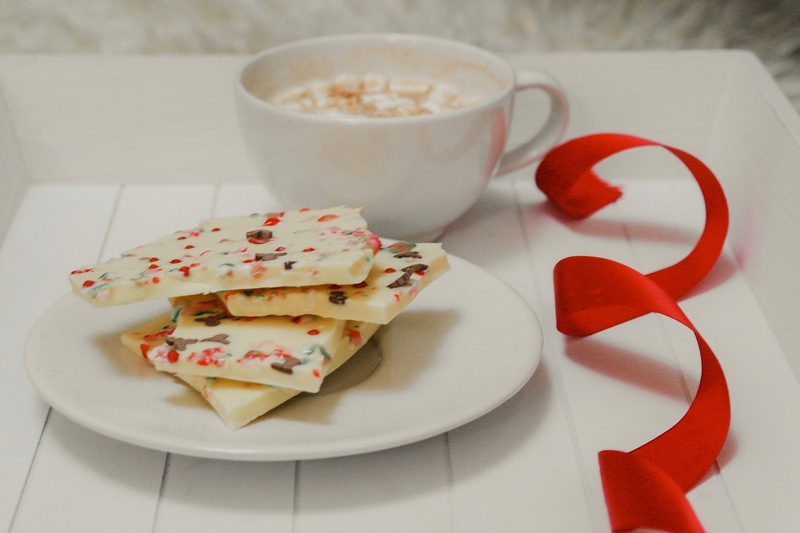 This easy candy cane bark is made with white chocolate, crushed candy canes and sprinkles. That is it! It's the perfect festive treat to give to family, friends or even teachers. By now, most people have finished work and can really get into the festive spirit, but if you are one of those people that still have gifts to get loved ones for one reason or another, this simple and easy recipe can be ready in minutes, it's a no brainer really. We have used this recipe a couple of times for my daughter's teachers birthday and Christmas gift. 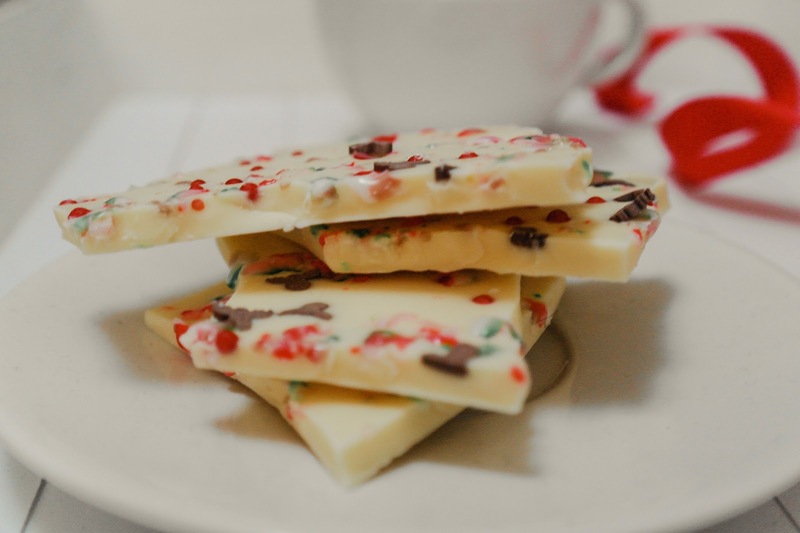 Festive sprinkles or red and green smarties for a festive touch. Break up the chocolate and melt in a glass bowl over a saucepan of hot water. Stir continuously ensuring that it doesn't over cook. Pour the chocolate into a baking tray that has been lined with baking paper. 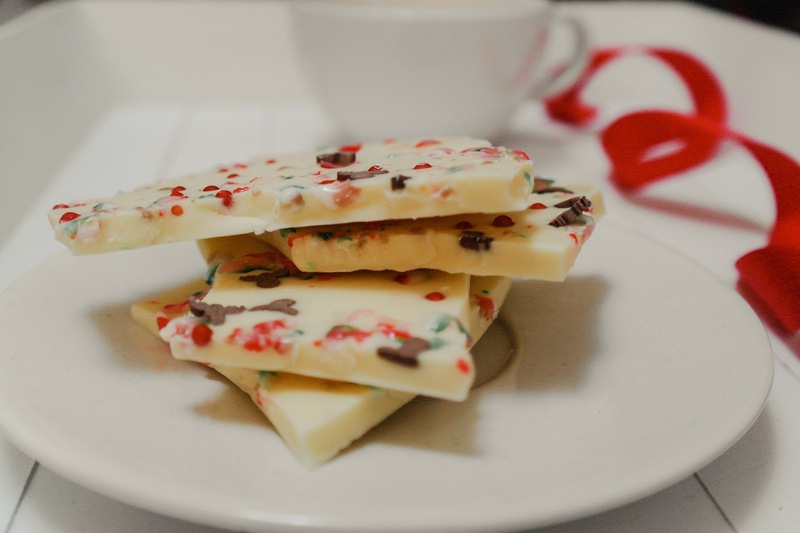 Scatter the crushed candy canes over the melted chocolate, not forgetting to add some of the most festive sprinkles you can find. I really do love the recipe as it's so easy to adapt. You could melt milk chocolate, add crushed peanuts and swirl some caramel into the melted chocolate for a special twist to the recipe. After you have added your toppings, simply pop the tray into the fridge and then set overnight. If you are making a gift for family, a friend or a teacher. Simply break the bark into pieces and pop into a small cellophane bag. 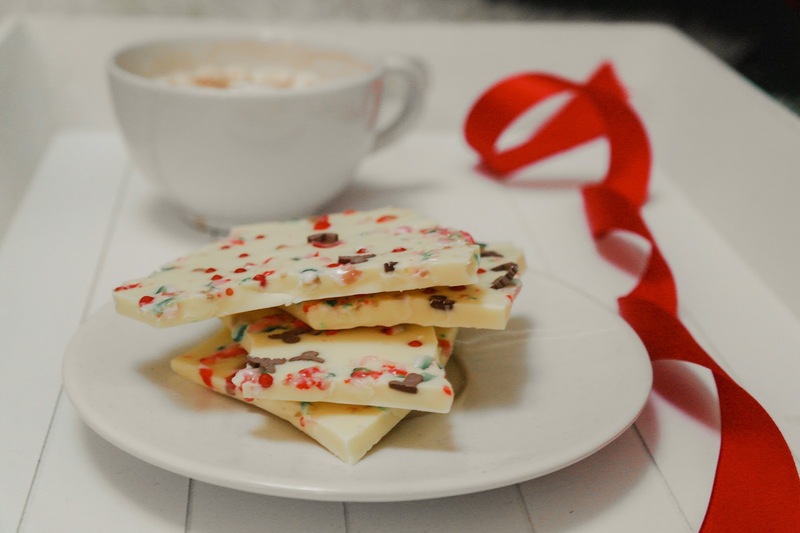 I love tea and coffee and this simple and easy bark goes so well with either. Try adding a fancy tea bags or a coffee sachet. Then tie some twine or string at the top along with a cute gift tag. Perfect home made gift. 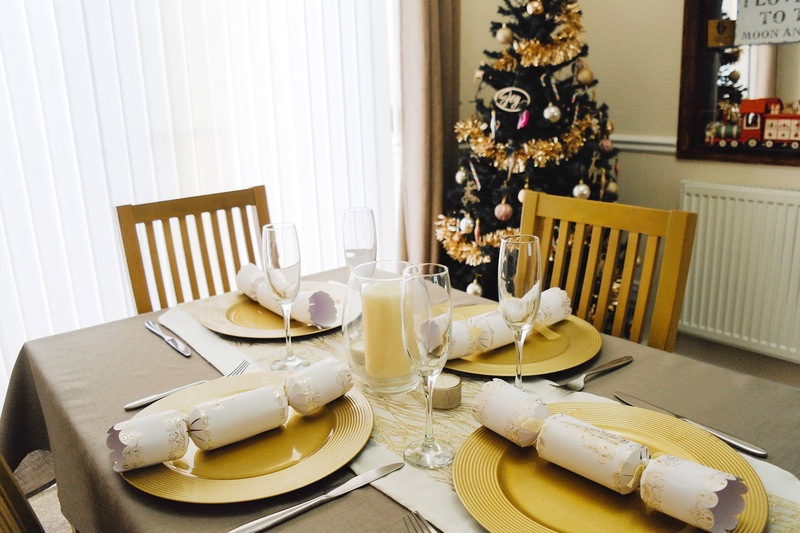 Since moving homes with my husband we have always picked a very traditional Christmas table with red, gold and green. It's a classical look and one that may tend to choose for their tables for Christmas dinner. But seeing as we have been very traditional for more than ten years, we thought that we needed to embrace a little change. Rather than settling on traditional colours of red, gold and green we decided to step outside of our comfort zone and change the Christmas colour scheme. As you know we have made changes with our Christmas decor so it seems that we need to keep within that theme. We have decided to have a more natural them with gold and cream for a more indulgent look. 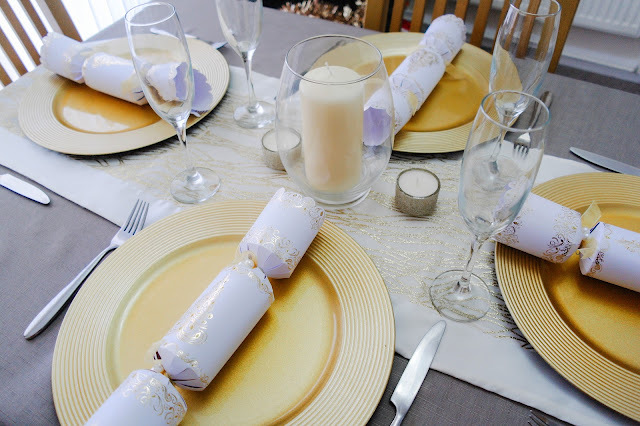 Now whilst decorating and placing the gold charger plates onto the table, it did feel a little strange at first but watching the metallics with the fresh look gives us such a Christmas feeling. Gold is so in the moment, and this colour seems to be having a major moment when it comes to Christmas decorations. So we are embracing the change ditching traditional and choosing a more simple and sleek look that I am totally in love with. Personally, for me this colour scheme is dreamy, elegant, classy and will work in any home. It captures the magic and wonder of Christmas beautifully. First of all, our table and chairs are from Harvey's, we picked them up when we first moved into our home a couple of years ago. A small, square table with chunky good looks makes it utterly charming, and it’s also the perfect place for the whole family can get around for some turkey! 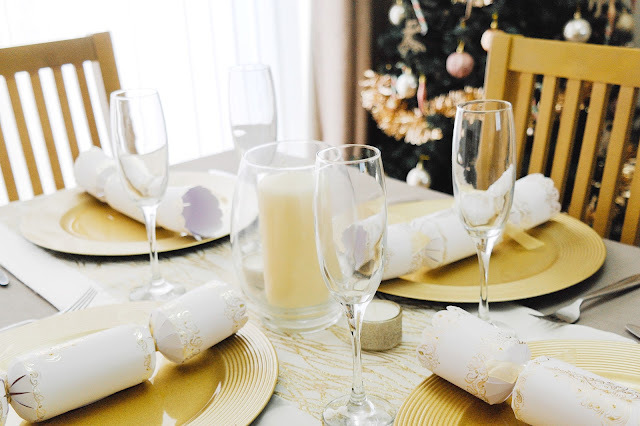 When it comes to your Christmas table, start by picking a theme. If you have a defined theme or colour scheme not only will make your table look super festive, but it will add a luxury touch. 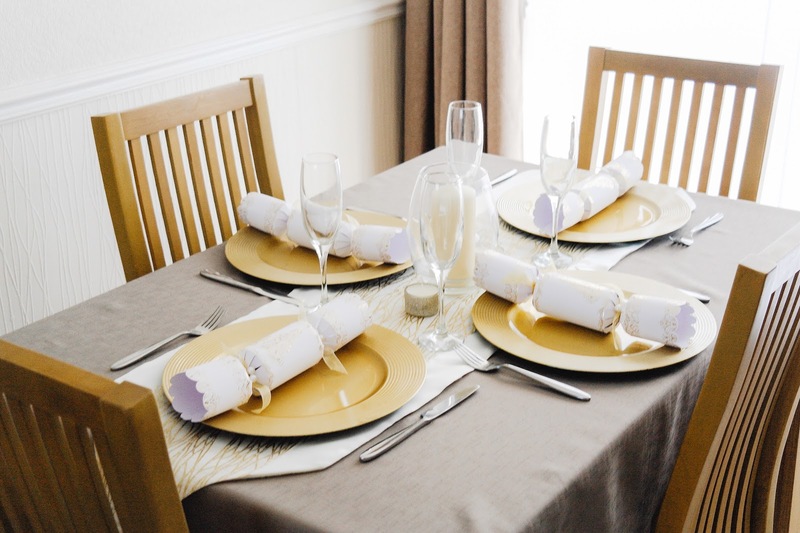 However, if you are unable to decide the classic red and green add a traditional look, white and silver can add a contemporary touch to your Christmas table decor. A style that I have been seeing more and more of are rose gold and champagne style table for that extra special glitzy look. For our table we have decided that a gold and cream Christmas table is the perfect change for us, it's sleek and so sophisticated. 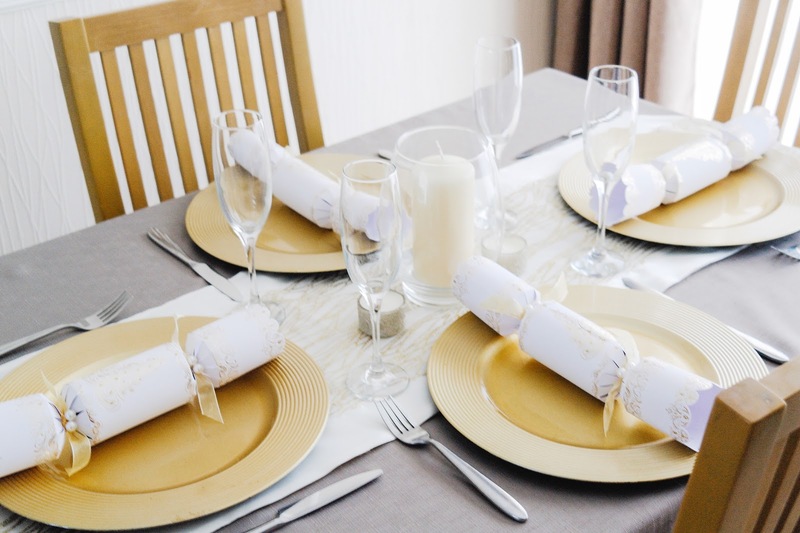 We all know that the last few days before Christmas are completely crazy, so get ahead of time and lay the table on Christmas Eve. It's something that I remember doing with my Grandad when I was a child, he was very OCD with his table. It will, honestly, save you so much time. 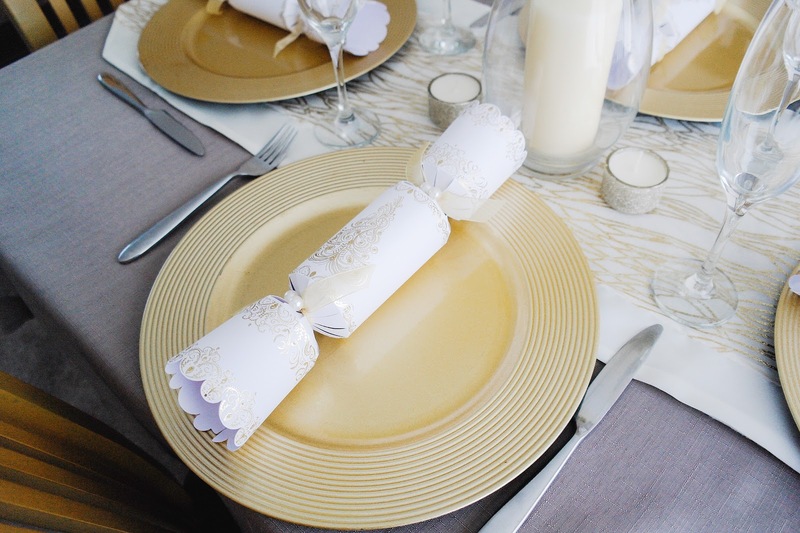 To make your table look more luxurious layer with charger plates or place mats. 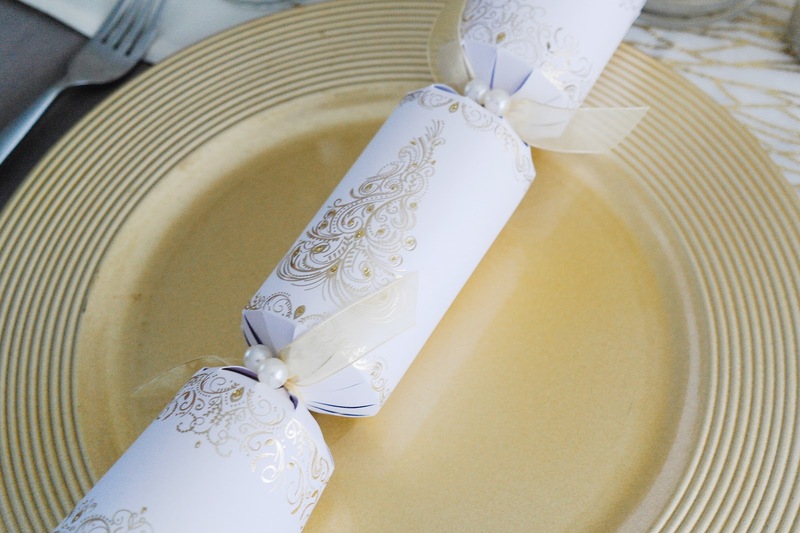 We have some gorgeous gold ones that we picked up at a supermarket after Christmas last year, and these go so well with our gold chargers plates too. Then add your crockery, glassware and cutlery. 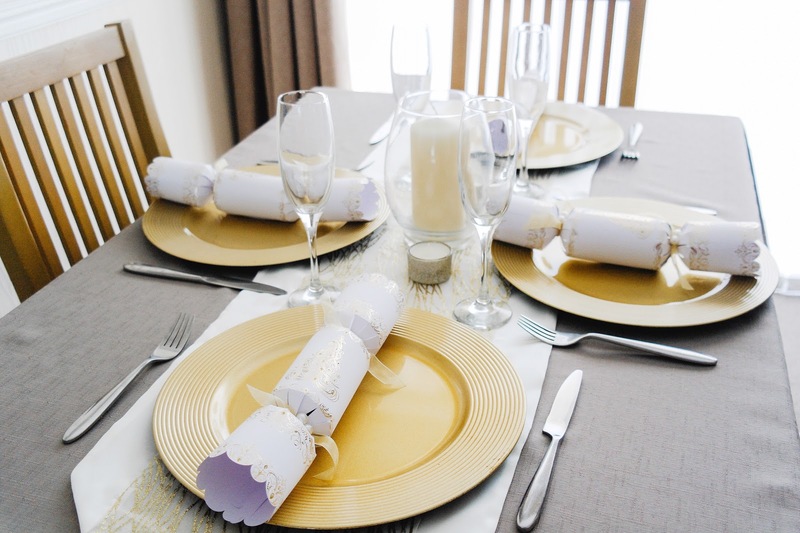 You don't need to spend a fortune on special Christmas china or crystal glassware to have a stylish table. We actually use champagne glasses that we used on the morning of our wedding and they have been very faithful, five years on. Let’s talk table decorations. It's an absolute must for such a wonderful time of year, and even though I do take quite a bit of the decorations off, it looks super pretty throughout the day. I also had so much fun decorating the table, and I’m really happy with how it all looks. For a quick and easy touch add a festive wreath which can sit on the centre of the table filled with candles. However, if you are feeling a little creative you could and try and make your own wreath with your table colours and create a unique centerpiece. Don't forget the place cards and napkins. Handwritten place cards are another simple addition that bring a personal touch. 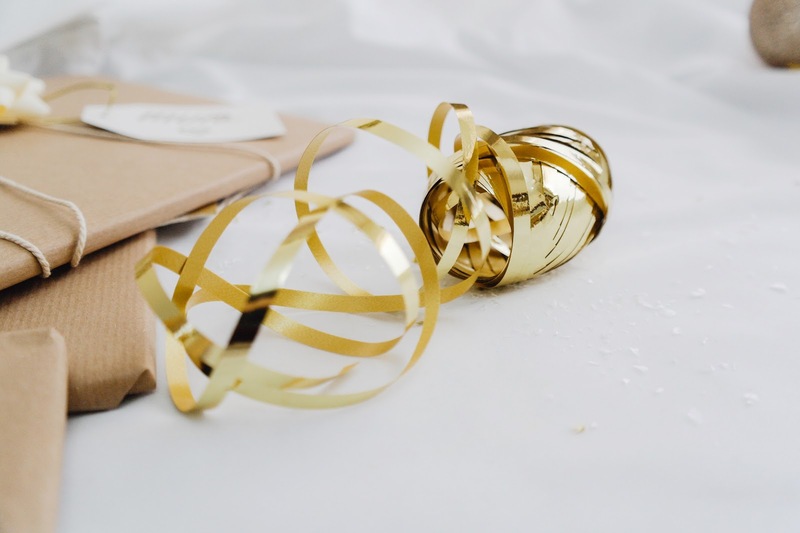 You could make your own personalised cards and add them to a cracker or even write each guest name on a bauble with a metallic pen and place on the dinner plate. 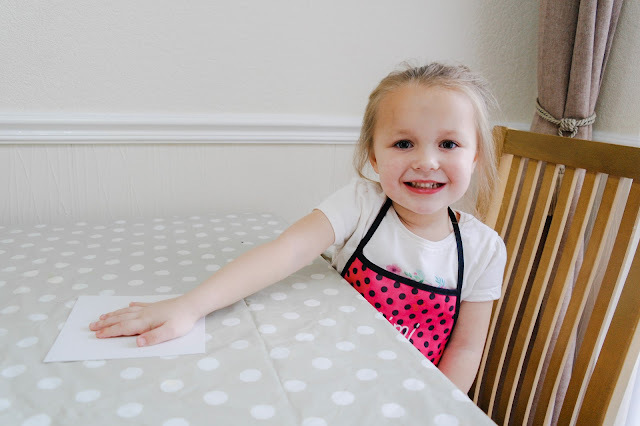 Napkins can be as simple or elaborate as you want to make them. We have some really cute cream and gold ones that are perfect for wrapping around cutlery, laying in your lap or wiping your mush. No Christmas table would be complete without the crackers. 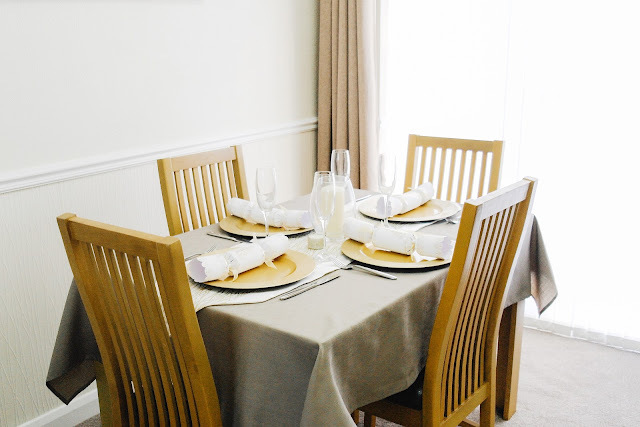 To ensure the party gets off to a cracking start make sure they coordinate with your table scheme for a perfect touch. We have found some of the most luxurious ones. With a glamorous glitter finish, the intricate tree design and block colour alternative will add a magical spark to any Christmas table. So there we have our Christmas dining table, I am so happy with how it looks, and think it makes such a difference to the dining area. 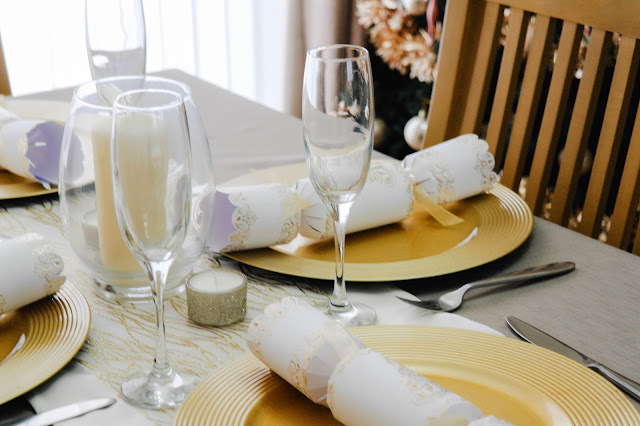 Do you have a particular style when it comes to decorating your table for Christmas? With less than a week to go before Christmas it's lots of ticking off the to do list this week. My daughter is on holiday for Christmas break and her social and school calendars are not as crazy. So we can catch our breath, slightly and focus on wrapping up Christmas (see what I did there). You're totally laughing right now, if not this just got a little awkward. But December has flown by and Christmas is just around the corner and I couldn't be more excited. So much so my daughter and I wake up every morning singing jingle bells to one another from our beds before she jumps in mine for a morning cuddle. I hope she never get tired of those morning cuddles. 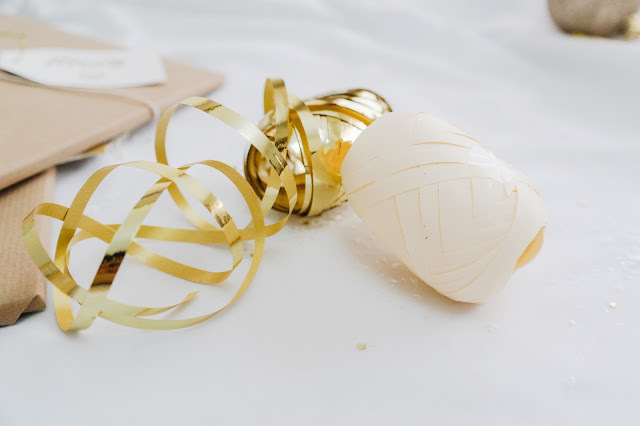 By now, most people have finished work and are getting into the festive spirit, or making last minute dashes for presents. However, apart from a little wrapping we are done so we can finally crack open a bottle of fizz and enjoy the festivities and begin the traditions. We have been getting crafty, dabbled in hot chocolate making and Christmas baking and now it's time for our special tradition. The Christmas Eve Basket. A Christmas Eve Basket has become somewhat of a family tradition now, this will be my daughter's fourth basket and every year she gets more excited about them. We never really found a box we liked or was sturdy enough, but you can cram so much into this little baskets as it doesn't actually have a lid. Now that our daughter is beginning to understand all the excitement that comes with Christmas, it seems so special. I can't think of anything better than spending time with my two favourites, getting excited, drinking our way through lots of hot chocolate and watching lots of Christmas films. The Little Lady's Christmas basket is full of lots of Christmas treats, goodies, pjs, and books. So let's find out what we put into her Christmas Eve Basket this year. 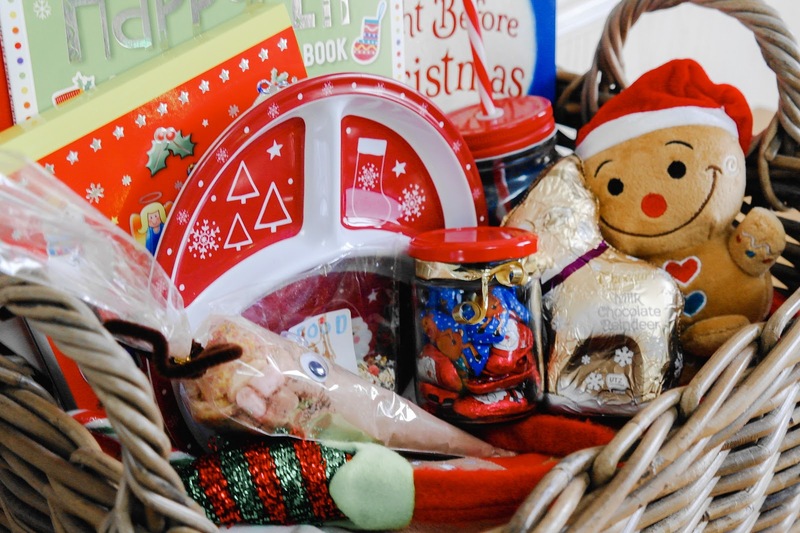 Every Christmas Eve Basket should include a cute little selection of Christmas themed books. As you know we did the book advent calendar this year, something that all parents should do for their little ones. It has been such a hit. But I did include a couple of extra books in her Christmas Eve Basket. Did I mention that my daughter adores books, and she can never have too many. This year we got 'The Night Before Christmas', 'Santasaurus' and 'The Snow Queen'. Ever since cbeebies did the Snow Queen panto she's been asking for one, but she loves the Snow Queen and doesn't think she's as evil AF. I'm pretty sure it's got to do with the Elsa-eqsue castle. So we got these books along with some others she requested from The Works when they had a 10 books for £10 sale on. 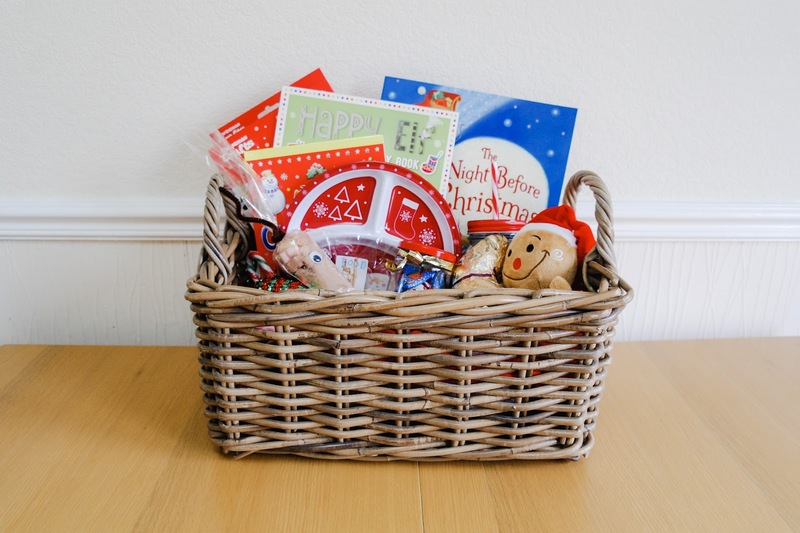 Something else I would recommend getting for a little Christmas Eve Basket is a cute Christmas DVD. The last couple of years we have brought some. However this year we signed up to Netflix and Now TV and they both have so many great family Christmas films on there. The Christmas Chronicles is such a laugh and I cannot tell you how many times I have seen Arthur Bloody Christmas. It's a totes cute film though. With some special hot chocolate and some sweet treats a Christmas marathon will go down nicely. Christmas Pajamas. Yes, everyone should have some special Christmas Pajamas to wear on Christmas Eve. I remember doing this every year since I could remember. We got a cute little reindeer two piece from Asda for like £7, if they did matching adult ones I would have got some for myself and made my husband wear some too. They are so cute. 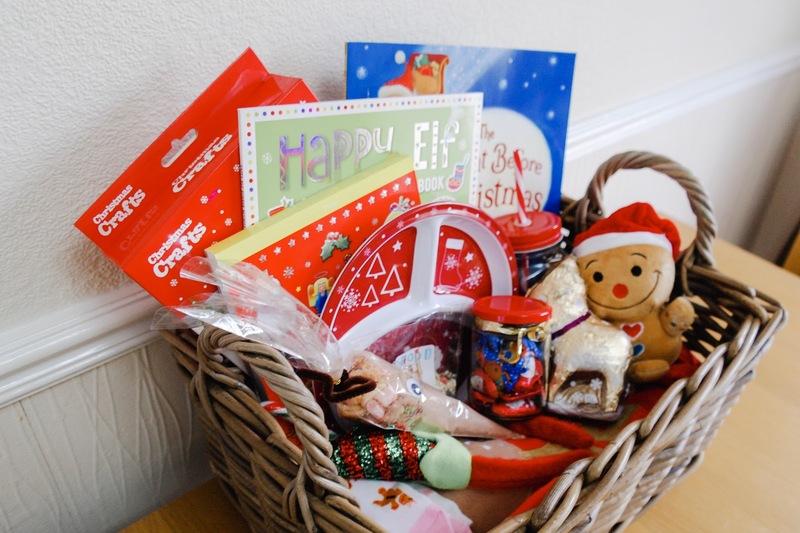 Christmas activities and crafts is also something that I like to include in her little basket. You can pick up some really cheap craft sets anywhere really, we even got some from pound-land which have occupied her for hours so great value for money. I also picked up some a cute mini colouring Christmas pad from Home Bargains that was like 69p, you can't really go wrong with that. In this little pad there are a bunch of activities and colouring pages to occupy herself with. You could even add in some festive crayons or pencils. Our house is bursting at the seams with colouring pencils and crayons so we definitely don't need anymore. Don't forget to add in Santa's Christmas Plate and a special key so he will be able to let himself in and out. Some carrots and reindeer food for Rudolph and the rest of the reindeer we picked ours up from a School Craft Fair for 20p. Not forgetting the little treats, candy canes, coins and a cute Rudolph hot chocolate cone. So what do you think of my daughter's Christmas Eve Basket? What else would you add? With that, I want to wish you and your family a very Happy Christmas. 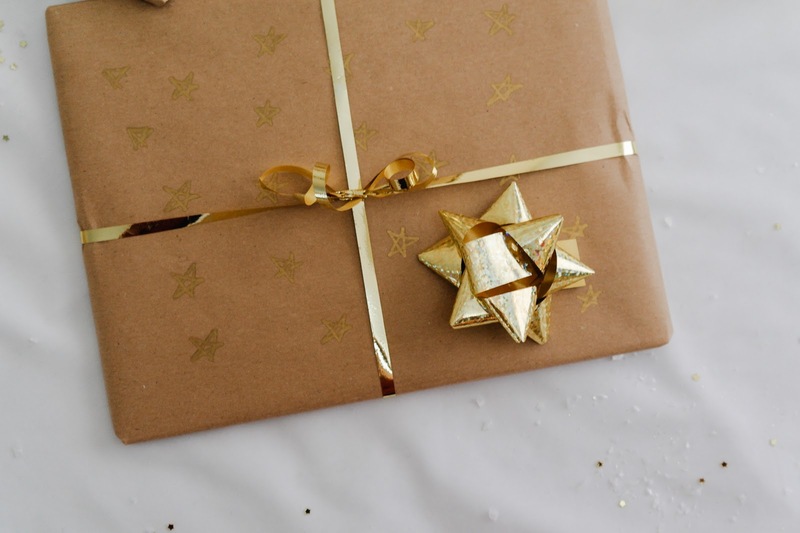 So are you a type of person who has already wrapped their gifts for Christmas? Now I must make a confession, I haven’t even started! Now I know some people hate wrapping presents but I weirdly like it. Well, not so much the actual wrapping but I get excited to plan the theme and buy all the different papers and ribbons and extra little bits. Every year I like to pick a colour scheme and then mix and match their ribbons and tags. Last year we went tradition with red and green. But we used so much wrapping paper it was crazy. Both my husband and I spend quite a bit on the wrapping paper, as it’s was sooo thick! I hate that thin gift wrap. So like I said I like a theme. And this year I thought that I would try and keep to some kind of budget and go crazy with kraft paper. It’s plain, it’s cheap and you can get it almost anywhere. You can choose to add whatever colour ribbons, bows or tags you like. You can choose silver, copper, bronze and more to add a sparkle to your Christmas this year. But getting your Christmas theme right is all about embracing luxury. Colours such as gold, and champagne, and rich, shiny textures such as glitter, foil and silk. Pair the look with soft ivory, white or cream to create a more sophisticated look. I have to say that it's my favourite look for gift wrapping. This year, I most definitely drawn to the sophisticated look of gold and cream. I really love the look of the gold and cream against the plain brown kraft paper, it's very eye catching. The theme just oozes luxury and by adding lashings of foiled ribbon and big bows, and embellish the look with sparkly accessories such as metallic tags really sets the theme off. I just couldn't resist a gold and cream theme. 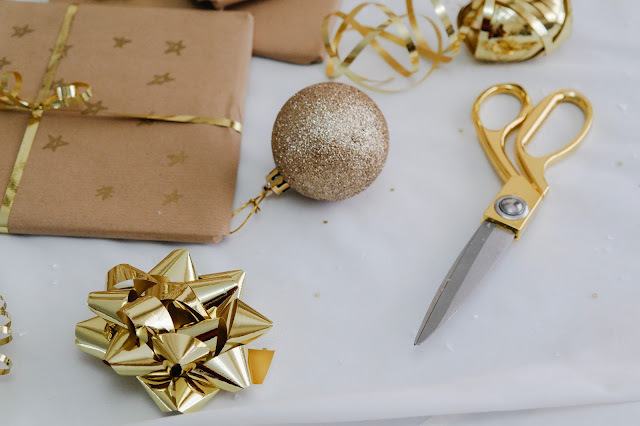 Originally I was going to use kraft paper and white string, but then I saw some of the most gorgeous foil bows, I knew that kraft paper and white string wasn't simply going to cut it. 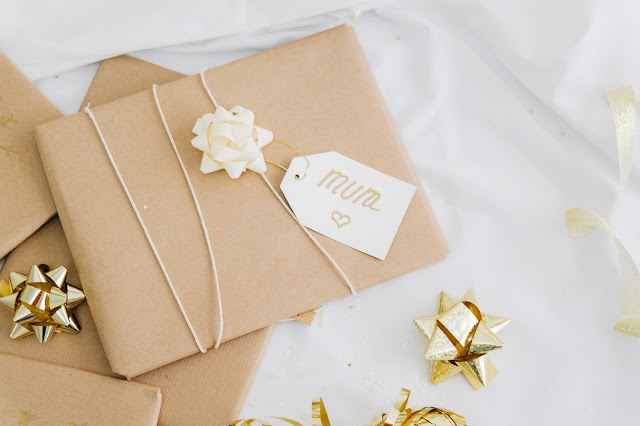 The gold and cream theme needed to perfect accessories to enhance the overall look and with a little research we came across some of the cutest gift wrap accessories. First I got this gorgeous gold and cream accessory pack that included two ribbons, six luxury bows and eight gold gift tags. Ideal for for enhancing the wrapping paper on your gift, send your presents with an extra special meaning this year from Cancer Research UK. No gift is complete without a cute luxury gold and cream bows and these ribbon and bows. And as if that wasn't enough gold and cream for the gifts this year we also got some curling ribbon for an added extra appeal. I will save these for the special gifts though. I also got some metallic sharpies to keep with the gold and cream theme from WH Smith, I used these to write the tags and to draw little designs on kraft paper before wrapping. I love that you can personalise your wrapping paper. My daughter even helped me get creative with the wrapping paper with hearts, stars and snowflakes. 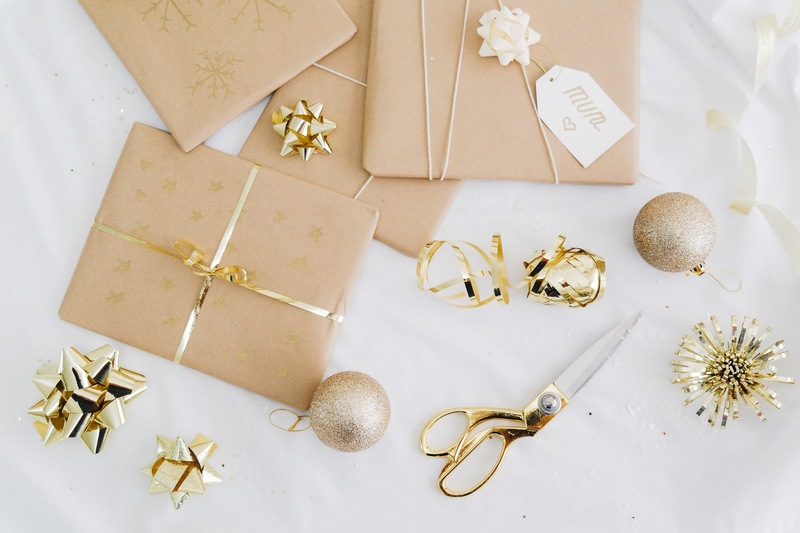 If you are in need of some inspiration for some of your Christmas wrapping then head over the pinterest, it's so fantastic for a little inspiration. When it comes to picking a theme pick your colours and then buy your accessories to fit around the theme. I do prefer to mix and match my accessories, however I did get them all from one place which made it so much easier for me. So what do you think of my gold and cream theme? The accessories featured in the blog post were sent to me for review courtesy of Cancer Research UK, but as always my words and opinions are my own. Nothing gets you into the spirit of Christmas than a couple of Christmas crafts, and that's exactly what we have been doing today. We love to make handmade cards for our family and friends and it's something that I love doing with my daughter. In the past years we have created some reindeer foot prints, bauble finger prints and a hand print Santa. These Christmas Tree Hand Print Cards are the cutest handmade cards for children to make, as they are so easy and I know that they will love getting creative. 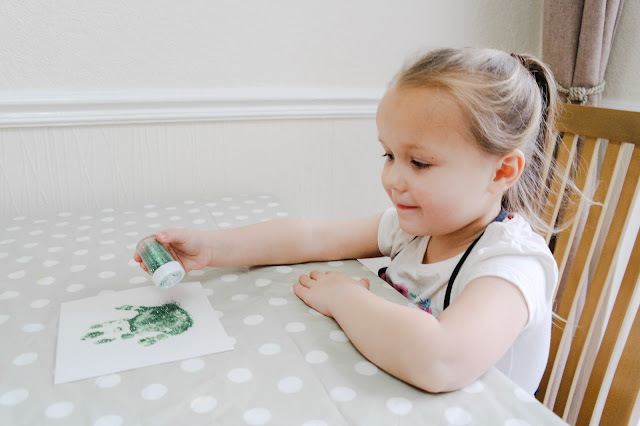 It is really so easy to make these Christmas hand print cards. You only need a few supplies to make these and the children who will love getting their hands painted. You can make these on folded card stock or ready made card blanks for a Christmas greeting cards. 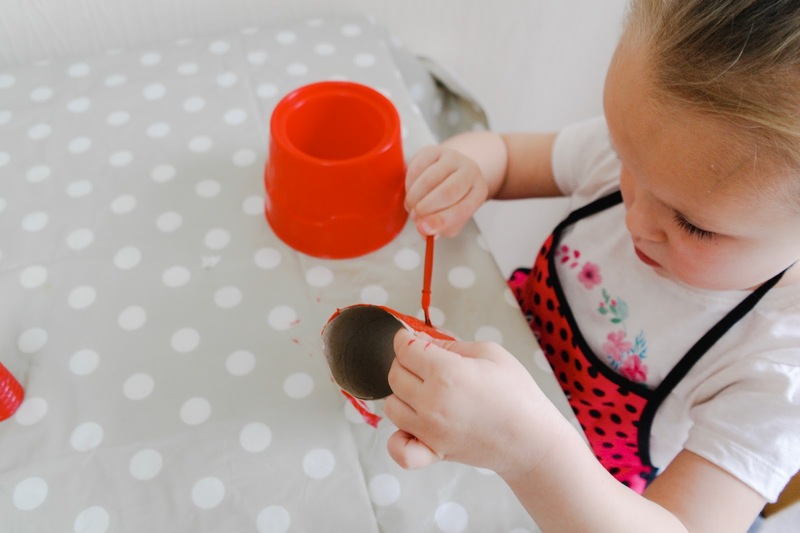 Start by pouring your paint onto a plastic paint pot. Use a brush to spread it out evenly so that the kids can dip their hands into the paint. I suggest having wet wipes and a bucket for washing hands close by too. 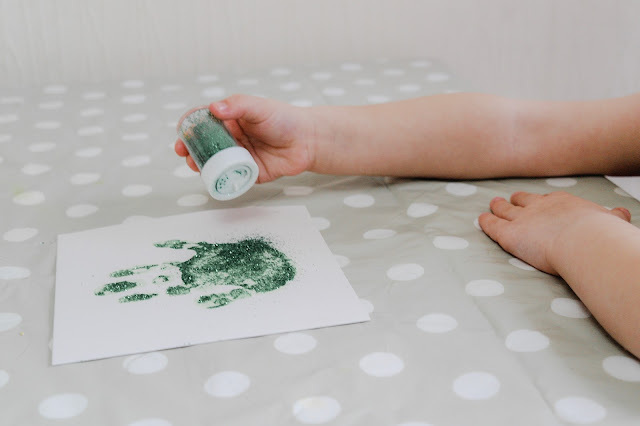 Or you could grab your green paint and brush the paint on to your little ones hand. Then simply press the painted hand onto a piece of card or paper, be sure to do one hand at a time and keep the print centered. Before the paint could dry we then added some green glitter to really make our Christmas tree sparkle. We finished our trees off with a yellow star and some sequins and pom poms for decoration. It really is such an easy craft to do. 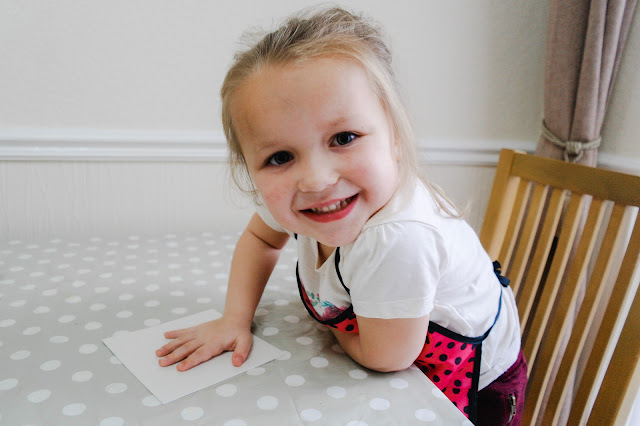 You can either use stamp letters for your message on the front and inside your greeting card or get your little one to write their greeting and then you are done. You now have a personalised Christmas Tree Hand Print greeting card! What do you think of our handmade hand print Christmas cards?